As modern girls worry about make-up, parties, and shoes, Susan Aikens aka Sue Aikens worries about the dangers of a wild bear in the middle of the night in her camp in Alaska. The “Life Below Zero” star is a familiar face and a famous name for anyone who wishes to come to Alaska to enjoy some wild time. Sue spends her time sustaining on life in Alaska waiting to take on the dangers present in one of the most challenging environments on earth and getting past them. Here are some wiki facts regarding the reality star that reveal her life in Alaska, age, husband, son, family and net worth. Born in a small village in Illinois called Mount Prospect, Alaska survivor Sue Aikens, aged 55, was born on 1st July 1963. At just 12 years of age, her mother left her father and headed towards Alaska with her at night to settle in a village 80 km north of Fairbanks, the largest city in interior Alaska. Her mother left her too, to pursue her own life. All these hardships compelled her to survive in the wilderness and made her who she is now. For all Sue Aikens has lived through, she was married thrice. Times were not good for her, as two of her husbands died and the other husband left her for a younger woman. According to the wiki, she has two grown-up sons at ages 30 and 34, out of her second marriage. Her sons live a normal life with their family in the United States. She posts quite a bit of time about her sons on her twitter handle. 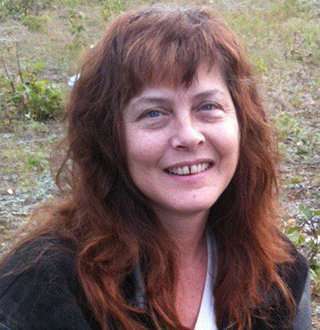 Sue Aikens is mostly seen on TV on the National Geographic Show Life Below Zero with five other fellow survivors since 2013. The show chronicles the daily activities of subsistence hunters in some of the remotest parts of Alaska. Aikens runs the Kavik River Camp and has been living in that vast and cold wilderness for over 17 years. She fights with the cold and remoteness of Alaska herself every day. We can see her with her rifle in the show shooting bears to protect her own territory. If you have to live in a place that’s been surrounded with 83 bears, you are bound to be attacked. Susan was attacked by a bear in 2015 during her years at Alaska. She did not see the bear coming until it snatched her and started throwing her around like a piece of meat. She remained calm as the eight-foot grizzly fought her and later rolled her over and left. I knew he’d come back and finish it the second time. So I shot him. After her close shave with death, the middle-aged reality star has been taking extra care about the grizzly six-footers. The Alaskan survivor has been living in her camp for 17 years in the chilling hard conditions of Alaska. For all her efforts, she gets paid quite well by the broadcaster BBC worldwide. It is estimated that her annual salary is about $200,000. She also provides accommodation for anyone coming to her camp in Alaska and charges $350 per night. With the TV show and the paid-accommodation, her net worth is around $500,000 which is surely on the rise as her Tv show has been attracting newer viewers every passing day. 5. What Is Sue Aikens Doing Today After Grizzly Bear Accident? Even today, Sue is in Alaska facing the same dangers she has faced in the past. According to wikis, her show, Life Below Zero returns to the screen on 21 September 2018 with the 11th season on its franchise. The show has just over some weeks to go on air, so Sue is busy with the crew on Alaska. The show is sure to bring bombardments of excitement and fear to our television screens. Don Diamont Self-Revealed Bio: Who Are "Bold and the Beautiful" Star's Wife & Sons? Maureen Dowd Wiki: Who Is Columnist's Husband At Old Age? Peter Greenberg Bio: A Single Man Or, Married Man With Wife And Family?